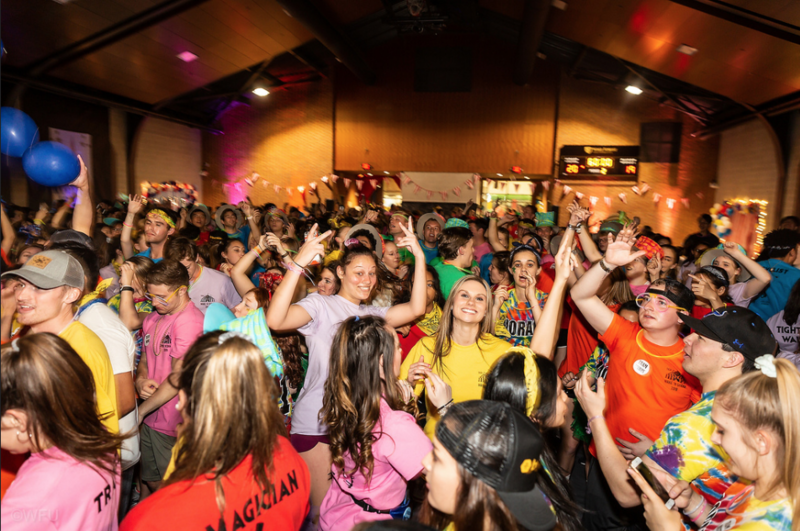 Wake Forest’s largest philanthropy event and annual 12-hour dance marathon, Wake ’N Shake, kicked off this spring as students, alumni and faculty members united to support those affected by cancer and collect donations for the Brian Piccolo Cancer Research Fund. To organize this philanthropy event, the co-chairs of Wake ’N Shake, seniors Kaela Griswold, Kila Tripp and John Waskowicz, began preparations for the dance marathon last spring. The Executive Team, which consists of approximately 40 people who were selected this past fall semester, helped with further organization and logistics for the event. Tripp explained that she decided to become so involved with Wake ’N Shake due to being a cancer survivor herself. In addition to managing the overall organization of the event, Tripp was also one of the eight Team Champions recognized during Wake ’N Shake as strong and courageous individuals who have fought or are currently fighting personal battles against cancer. The other Team Champions included Mimi Gallagher, Jessy Kyle, Chris Boulton, Lisl Windham, Cindy Dunham, Karly Billips and Rusty Triebert. Periodically throughout the dance marathon, Tripp and the other Champions shared their inspirational stories about overcoming both the mental and physical drain of cancer through their courage and strength during the recovery process. The Team Champions were also each assigned a team of students who would dance in honor and support of them. As one of the student dancers experiencing Wake ’N Shake for the first time as a freshman, Meri Claire West noted the emotional impact that the Team Champions made during their speeches. “I think it was really interesting hearing the different stories, especially how each participant was assigned an individual Champion,” West said. In addition to listening to the Team Champions speak, participants enjoyed activities, including Zumba, Body Combat, the first edition of the Faculty Talent Show, a live band performance and a rave. These events aimed at keeping the morale high throughout the 12 hours. Member of the Executive Team and junior Megan Hopkins remarked upon how the event fosters a heightened sense of community at Wake Forest, as the participants cooperatively encourage and motivate one another to continue dancing in support of those affected by cancer. This year’s dance marathon was presented with the theme of “The Greatest Dance on Earth,” which included the appearance of a juggling stilt walker and t-shirts that highlighted a unique circus performer, like a unicyclist or a human cannonball, for each Team Champion assigned to a group of student dancers. The event lasted for a full 12 hours on Saturday from 12 p.m. to 12 a.m., and participants selected to participate for either one of the six-hour shifts in the afternoon or evening or the full 12-hour shift. In light of the long duration of the event, some participants experienced severe physical exhaustion towards the end of the night. According to senior Sarah Hambright, chief of Wake Forest’s student-run Emergency Medical Service (EMS), three students required medical assistance. However, she was unable to provide additional information due to the nature of the topic and Health Insurance Portability and Accountability Act. One of the participants dancing in the 12 hour shift, Cassidy Spetnagel, was able to comment on what she witnessed during this medical incident. Even with these difficulties, “The Greatest Dance on Earth” was still able to conclude with a record-setting donation of $412,669.48, which will be give to the Brian Piccolo Cancer Research Fund. President Nathan Hatch commented on the importance of Wake ’N Shake, which he said exemplifies the Pro Humanitate spirit through the use of one’s talents and time to support those affected by cancer and raise money for cancer research. 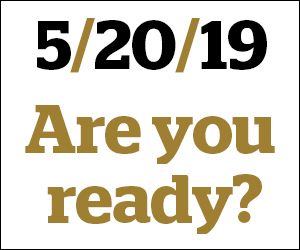 All of the money raised through Wake ’N Shake will benefit the Brian Piccolo Cancer Research Fund, which supports the Comprehensive Cancer Center at Wake Forest Baptist Medical Center.